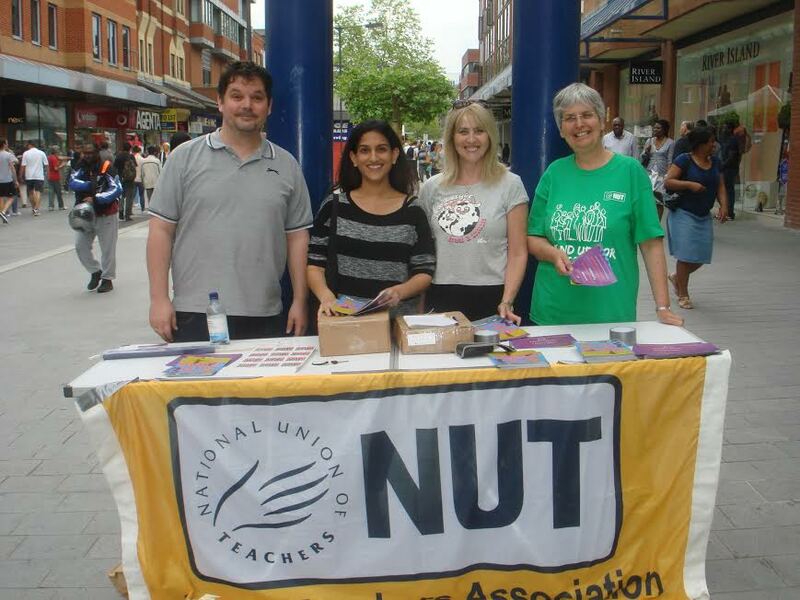 On Saturday 17th May, a few members of the Harrow Teachers’ Association met with members of the public to explain the NUT campaign – Stand Up For Education. I went through a bit of a journey and was amazed at how much I learned within a few hours. At the onset, we were near the stall, waiting for passers by to talk to us. A few came over or walked passed looking interested but didn’t stop. At other times, we started talking to each other. I think that this made some individuals hesitate and decide against approaching us. Then we moved away from the table and split up. We walked amongst the public and tried to decipher who to approach. I would have thought that parents would be really interested in Education, but we couldn’t assume that those who had children with them were parents. They could be uncles, aunts, child minders etc. 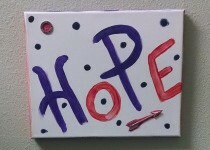 I took a leap and decided not worry about making assumptions or be precious about the leaflets. I began to approach people with children. In order to combat some of this, I create a short, succinct sentence. “Can I give you a leaflet about changes in Education” The word Education was a big enough hook for most. One person replied that she didn’t want to learn as ignorance is bliss. Another said she’s not from around here. I said it was national but I think she was too far to want to turn back. A few said no, shook their heads and walked. This bothered me because I didn’t understand why they wouldn’t be interested in what could hugely affect their child’s life chances. I decided to ask the next person who said no. Here’s how it went – “Can I just ask…you have a little one, so why don’t you want to know?” One said that she was in a rush, so I explained that I didn’t need to speak with her; she could just take the leaflet. Another said he had 5 in total; so I replied “then you really need to know.” He could see the genuineness in my face and he stopped to take a leaflet. I met a desperate father who said he can’t find a place for his boy, anywhere in Harrow. He said he’d written to his MP, contacted the council, approached individual schools but there was no change. He said he didn’t know what to do. 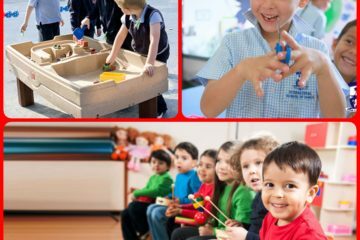 We discussed the fact that Local Authorities used to be able to instruct schools that weren’t full, to accept children who couldn’t be placed closer to their home and that they could create temporary buildings or open new schools in order to meet the need for places. However, the Government has handcuffed them, so any shortages HAVE to be managed by opening a Free School, an Academy or Private Education provision. He was unaware of this, glad to understand but no less desperate to cater for his child’s needs. He also, has believed the nonsense that the crisis has been caused by immigration so we discussed that as well. I shared a few of the reasons behind it and said we are. She said she didn’t like the planned changes and understood our reasons but it would cost her £50. It was an amazing experience and really worth doing. Have you ever done anything similar? If so I’d love to hear about your experience.